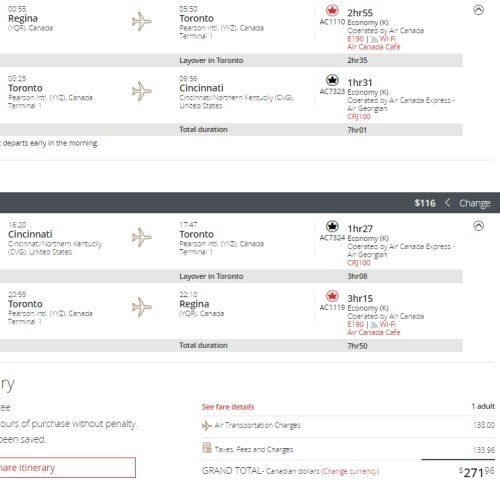 Air Canada has dropped the price of their flights from Regina to Cincinnati, Ohio down to $272 CAD roundtrip including taxes. 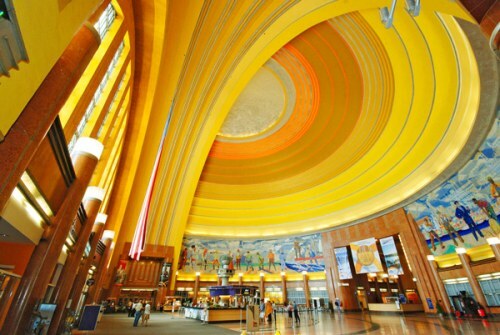 This is 38% below the typical best roundtrip prices from Regina to Cincinnati. 2. Click on 'Change' to try other dates in late April, May, and June 2017. You may want to select '1 Stop' on the left hand side of Kayak. regina, yqr, united states, flight deals, air canada, north america, cincinnati, ohio and cvg.